It’s Clusterpuck! In the middle of a freakin' mall, Coors Light built a peak that's 30 feet high, 60 feet long, weighs 20 tons and is made entirely of ice. Not cool (ha) enough? Mountain men a.k.a. 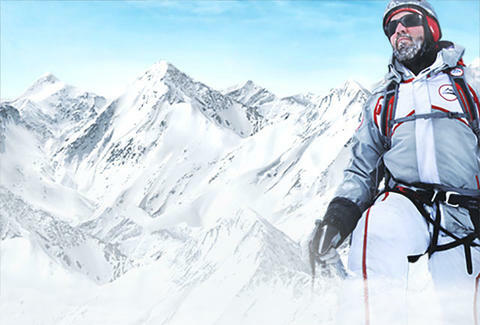 the Coors Light Explorers (all professional stuntmen) will scale this behemoth peak mining prizes… for you. What’s up for grabs? Tickets to the 2014 Coors Light NHL Stadium Series™, merch, and sweet swag from NHL.Shop.com*. No worries about RSVP-ing, buying tickets, or making a Faustian bargain to attend – just show up and get ready to chill out (pun intended! ).